When using VMware Workstation you add hard disk to the virtual machine at the time of creation and you install guest operating system. but some times you run out of space inside guest operating system. 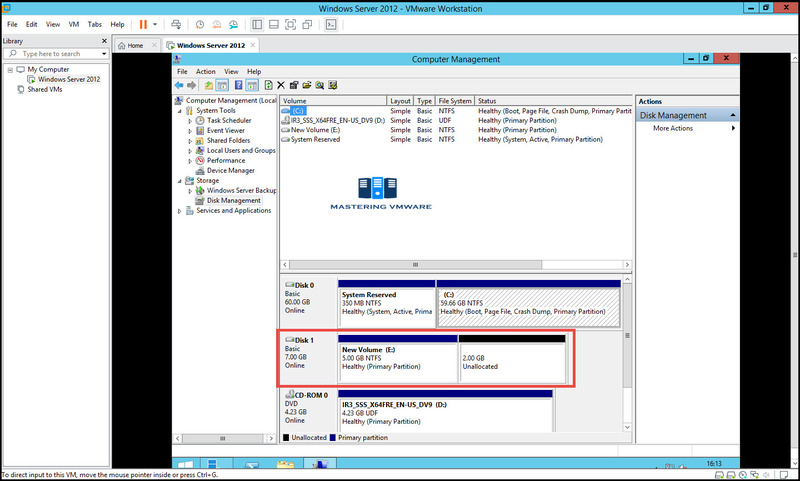 In this post we will see on How to extend existing hard disk of the vm in VMware Workstation. 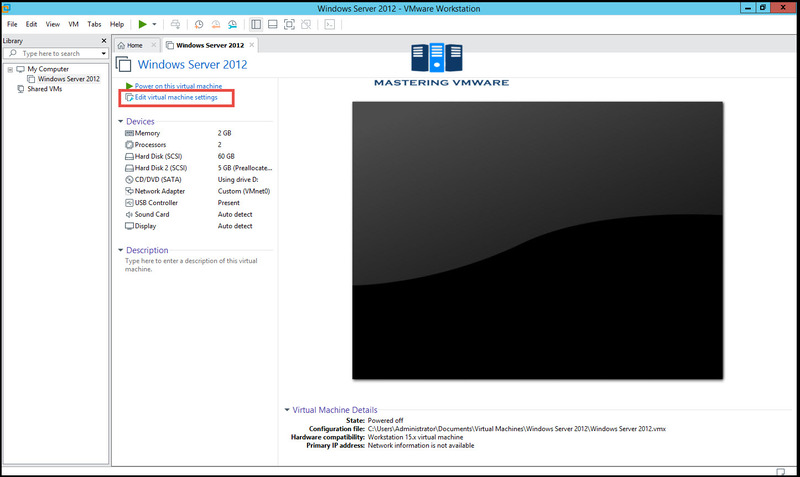 VMware Workstation allows you to extend hard disk of the virtual machine easily with few steps. Before extending it requires that your virtual machine should be powered off. So once you extend hard disk from VMware Workstation, you can start vm and extend the disk inside guest operating system. Choose the VM on which you want to extend disk of vm. 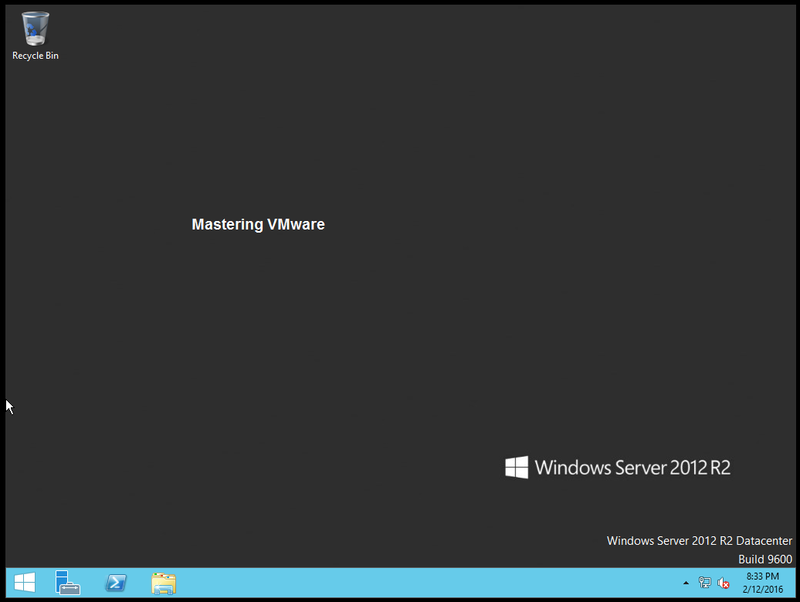 Power Off the virtual machine first. Select the Disk you want to extend. You will see Disk information on the right side. Click on “Expand” under Disk utilities for expanding the hard disk. 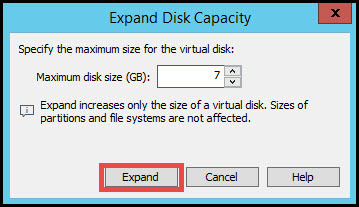 Provide the size how much you want to extend virtual disk. It will take few seconds based on the disk size. Once it is extended, you will get confirmation message. Click OK to close the prompt. As you can see that Hard Disk is extended. You can verify that extended disk is showing as unallocated, So now you can extend your existing partition to use the unallocated space. 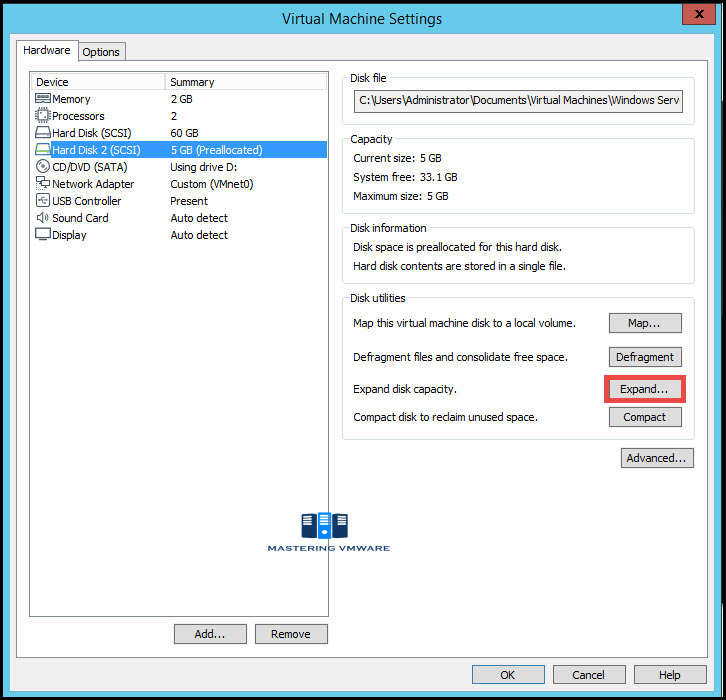 Using this way you can easily extend the disk sizes of the Virtual Machine in VMware Workstation.